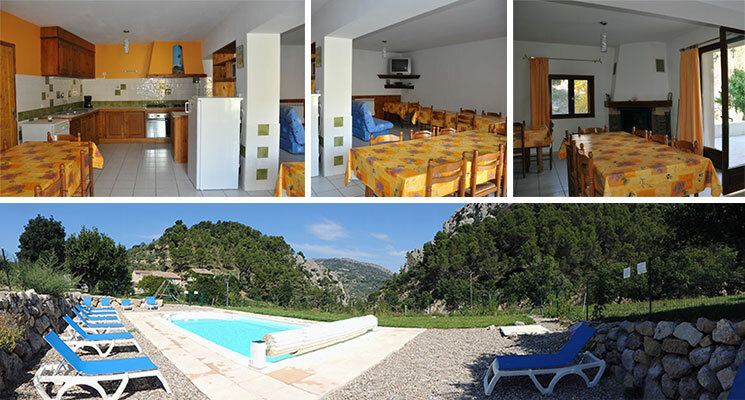 Large cottage for up to 25 people, cottage of France 2 ears, groups cottage. This cottage welcomes up to 22 people. 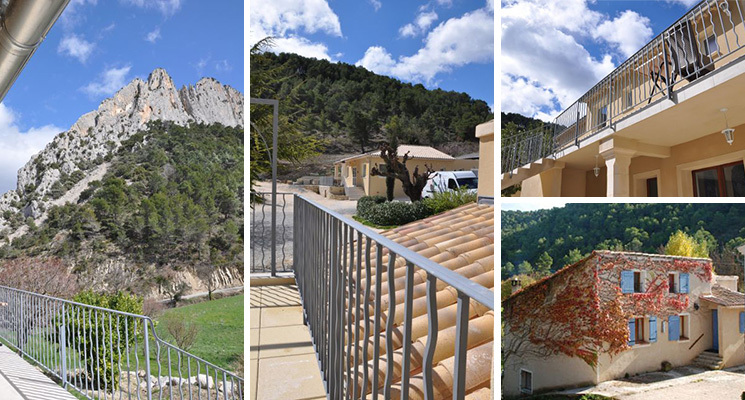 It is open from March to Novembre, is labeled by Gîtes de France and classified 2 Ears. The cottage was built in 1991, on the foundations of the former family farm, of which a few stone walls have been fully safeguarded and is on two floors. It was entirely refurbished at the end of 2013. Les Genêts : Air-conditioned room 6/7 beds. 2 beds 2 person, 2 bunk beds, 1 sofa bed 1 person in an alcove with separate entrance and a mezzanine with 2 beds 1 person. Bathrooms with 1 shower, 1 double washbasin, 1 closed toilet. Les lavandes : Air-conditioned room 4/5 beds. 1 double bed, 1 bed 1 person and 1 bunk-double bed . Bathrooms with 1 shower, 1 washbasin and 1 toilet. A very large south facing private terrace . 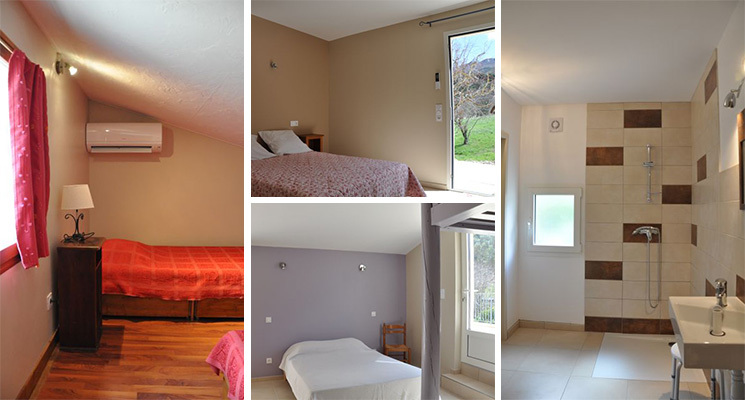 Les Coquelicots : Air-conditioned room 5/6 beds. 2 beds 1 person, 2 bunk beds 1 person and a mezzanine with 2 beds 1 person. Bathrooms with 1 shower, 1 double washbasin, 1 closed toilet. Les Primevères : Air-conditioned room 3/4 beds. 2 beds 1 person and 1 bunk-double bed. Bathrooms on the ground floor with 1 shower, 1 washbasin and 1 toilet. For weekly rentals, you can use the oven for cooking, the fridge, the burner gas cooker, the dishwasher as well as all dishes at your disposal or you may prefer meals served at your hosts table ans use this room for your soirées, activities, relaxation. Outside : Stone terrace, set of garden tables . Vast adjacent terrain, with orchards and field, swings for children, pool, at the foot of the rocher Saint Julien. Contact us for groups weekly rental.